He also wrote 8 Reasons Athletes Injure Their Hip Flexors, and How to Develop Hip Flexors for Speed. 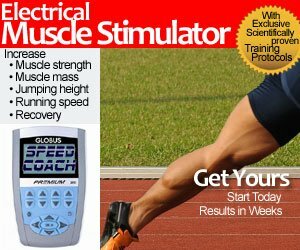 This start-acceleration based series that I’m about to share with you is intended to develop a number of specific skills and serves as a great training variation for power athletes/sprinters. Below I will introduce and then discuss each progression in its entirety, as well as provide proper video demonstrations for each. The first progression is extremely basic and I’m sure that many will be familiar with this exercise. This drill simply teaches correct body angles (torso, knee, and shins), leg stiffness, balance, and effective front and backside mechanics. Very little time is generally spent here unless an athlete is very weak and uncoordinated, or happens to be hyperactive or tight at the front of the hips which in turn causes unwanted “hinging” or breaking at the hip as the athlete falls forward. The next drill in this series was introduced to me by Joe DeFranco awhile back. Obviously, the lean is omitted and the athlete must express immediate power and strength out of this aggressive body position in order to be able to accelerate forward quick and smoothly. I also want to quickly note that in his book: “The Sports Gene,” David Epstein notes that science has supported a standard human reaction time of a quarter of a second. Furthermore, a study referenced from my book identified that human reaction time was a non-factor in high level sprinters. The reason I bring all of this up is because the performance training industry tends to get caught up in the idea that we can improve HRT. What we really are seeking to improve, which this drills assists in, is rather pre and post-reaction movement response. Meaning, being able to enhance proprioception and quicken neural input into the brain prior to reaction, and then carrying out movement faster and with more power after we decide to react. Once our partner releases us from the approximate 45-75 degree body position, it’s then just an issue of recognizing the structural alignment we are in, and recruiting our muscles faster and with more force (RFD, etc.) to initiate maximal acceleration. Lastly, if you or your athlete has a decent foundation of strength, coordination, core stability, and power then this progression won’t be too difficult. 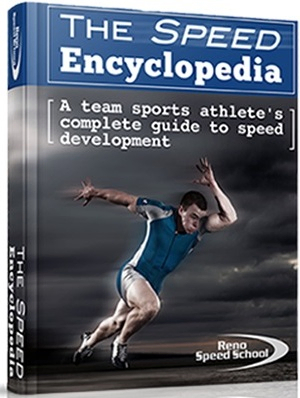 Hopefully this short piece disclosed a few new things that you can implement into your comprehensive speed training programs immediately. To re-iterate, drills #1 and 2 are geared towards beginner and intermediate level athletes and sprinters who are primarily deficient in strength and power output. Drill #3 is a great assessment of power and explosiveness. If you are strong in the weight room and able to apply that strength in speed and power based activities, or you just express strength well naturally, then you should excel in phase #3. If not, then this drill will help supplement these qualities to help make you faster! Epstein, David. The Sports Gene. New York, New York: The Penguin Group, 2013. Contreras B, Beardsley C. The Optimal Athlete: Sprinting. 2012. Mero A. Force?time characteristics and running velocity of male sprinters during the acceleration phase of sprinting. Research quarterly for exercise and sport 94: 94?98, 1988.